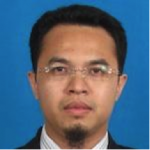 Dr. Fadhlullah Suhaimi is currently the Director for NKEA Communications, Content and Infrastructure; NKEA Agriculture, NKRA Rural Development; at PEMANDU and he is also the Chief Communications Coordinator for StratComm a Cabinet Committee on Strategic Communications. Joined PEMANDU from Telekom Malaysia (TM) where he was then the Chief Corporate and Regulatory Officer. He was a Lab leader during the development of the Economic Transformation Programme and has been involved transformation at TM as well as telecommunications industry development such as Malaysian Internet Exchange and Communication and Multimedia Content Forum of Malaysia. Tze Meng graduated with a BSc(Eng) in Computer Engineering from Queen Mary College, University of London in 1986 and has been in the IT industry for the last 27 years. He had roles in data communications, electronics design, and software development in his early career. In 1988 he started a career with Telekom Malaysia’s IT Division and was involved in TM’s data centre deployments and OSS capacity planning. In 1994 he was recruited into a special team which resulted in the launch of TMnet in 1996. In 2000 he left his role of managing TMnet’s international networks to lead a data centre consulting startup which was contracted to design a data centre in Cyberjaya and secure two major local banks’ Internet banking facilities. 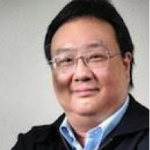 The dotcom crash and decline of the DC industry in the late 90s prompted Tze Meng to venture into another startup in the Apple enterprise support business In 2003. 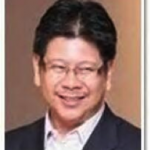 In 2007 the prospect of guiding MSC Malaysia’s infocomms strategy and policy brought him to MDeC and today he heads the Ecosystem Planning and Development Department which is responsible for the situational analysis of the digital content and services ecosystems which includes data centres, cloud, mobility and broadband. 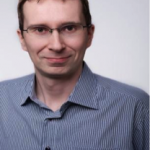 Markku is the APAC Technology Evangelist at Amazon Web Services. He has been in the IT industry for 15 years, and has held various technical and management positions, covering R&D, technical support and architecture. For the past couple of years, Markku was responsible for the cloud computing architecture and technology transformation of Nokia Siemens Networks’ global business units. Markku has worked out of Finland, China and Singapore. 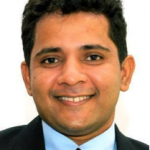 Champika is the ICANN’s Regional Security, Stability and Resiliency (SSR) Engagement Manager for the Asia Pacific. He supports the ICANN’s external SSR program and represents ICANN in security, technical operations, law enforcement and capacity building forums in the AP region. Prior to ICANN, Champika was the Training Unit Manager at APNIC, the Regional Internet Registry for the Asia Pacific. He also served as a Team Leader, a Senior Training Specialist and also APNIC’s Liaison Officer for the South Asia region. Champika started his career with IBM Corporation as a Systems Engineer and worked in IT industry, academia, research, and training environments in the Asia Pacific. Willy has worked exclusively in Telecommunications field for the last 7 years. He involved in the construction of sub sea fiber cable (Matrix Cable System) from the ground up, brought the company network to be Indonesia tier-1 network. He also acts as the Peering Coordinator for ASN55818 (MCIX). 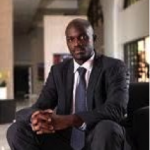 In 2014 he spearheaded the creation of IDNOG and currently sit as the chairman. 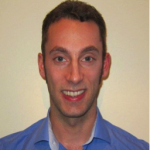 Matt is Senior Network Architect at Akamai Technologies responsible for the Asia Pacific region based in Hong Kong. In this role he looks after peering relationships, building and maintaining long term partnerships with the networks and IXs in the region as well as capacity planning and architecture for Akamai’s content delivery & security platform. Before joining Akamai Matt was Peering Manager at Cable&Wireless Worldwide and heavily involved in building out their backbone into Asia. He’s been a regular in the global peering scene for the last 7 years. 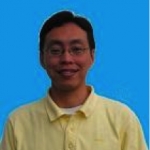 Zen Ng is an Internet Resource Analyst in APNIC’s Member Services Team. 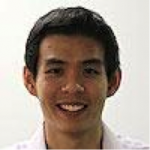 With his specialized knowledge of APNIC policies and Internet resource management, Zen plays an important role in advising and assisting APNIC Members with their membership and Internet number resource queries. Zen also represents the Members Service Team at many community events to liaise with the Asia Pacific Internet community. 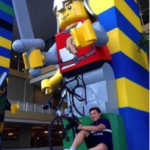 Khay Kid engages key Service Provider customers and help them craft their future state architectures that put them in the best positions to capitalize market transitions surrounding their business. In the last 18 years, Khay Kid has worked with service providers as they evolved to next generation networks including TDM migration to ATM networks, IP Packet Backbones, Policy and Service Control for digital wireline and mobile broadband and introduction of LTE, WiFi hetnets and Fixed Mobile Convergence resulting in improved competitive differentiation and cost savings. Areas of interests: Wireless/wifi, DNS/DNSSEC, IPv6, and security. Julie Liu is currently the Vice President of Strategic Planning and Marketing at Genie Networks, a company dedicated in providing quality solutions for the communications industry. 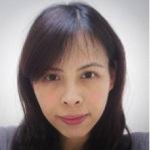 Julie Liu graduated with a BSc and MSc in Computer Engineering from National Tsing Hua University (Taiwan), and an MSc in Management from Manchester Business School (UK.) Working in the IT industry for 15 years, and her professional experiences covers R&D, product planning and strategic marketing. 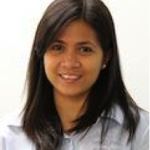 In addition to the passion of learning the new technologies and analyzing market trends of data networking, as a mother of two, she enjoys spending time with her kids. Mark is now based in Johannesburg, South Africa, where he is Head of Engineering at SEACOM, East & Southern Africa’s first submarine cable operator. Mark is a huge proponent of IPv6 and helped start Zimbabwe’s first commercial IPv6 network (Africa Online Zimbabwe), and has done the same with the organizations he represented in Malaysia, before moving to South Africa. 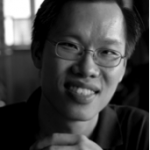 Thong Hawk Yen is a Senior IP Core Network Engineer with Time Dot Com Bhd. Seiichi is a Network Architect and Peering Coordinator at BIGLOBE, a major Internet service provider in Japan. He is also serving as chair of JANOG(Japan Network Operators’ Group) . Raja Mohan Marappan joined MyIX in 2010, when MyIX Association decided to engage a full time staff to manage the operations of the exchange. He is responsible for maintaining the network, capacity planning and implementing network projects for the growth of the exchange. He holds a Bachelor of Computer Science degree from University Sains Malaysia. Izni is responsible for the designing, planning and implementation of IP Core network in Telekom Malaysia. 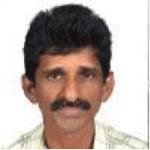 He has 14 years of experience in TCP/IP and MPLS network planning and implementation. 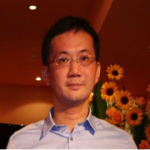 He started his career in building TM’s ISP network, and later on built Malaysia’s High Speed Broadband core network. He leads TM’s IP Core Architecture Board which regulates the infrastructure and service designs implementation in TM’s IP Core network. He is Juniper Networks certified bearing certification id JNCIE-SP#0925.